The government has announced plans to provide funding for the development of newly built homes across some of Britain’s major cities. 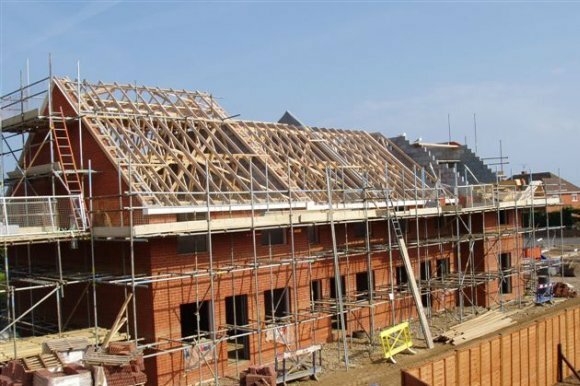 In partnership with some of the UK’s major house builders the scheme will look to provide new homes for the rented sector which currently comprises 16.5% of all households and looks to be increasing as homeownership is at it’s lowest since records began. The scheme which will provide funding of £1bn will be looking to improve the accommodation of in the rented sector and will initially be provided for the private sector. There is still a chronic shortage of homes across Britain which is pushing up house prices and the rental prices. The government has introduced some incentives for developers that want to take part in the scheme such as reducing stamp duty on the purchase of large sites from 5% down to 1%. Initially the government announced that it would contribute £200m toward th build to rent fund but this figure was increased to £1bn in the 2013 budget. The government is keen to stimulate this new market as not many homes are built to rent. Most new homes are built to sell but the government would like to see more good quality rented homes built across Britain. Up to 10,000 new homes will be built with the £1bn funding and it is hoped that many of these homes will be underway by 2015.It is hoped that by encouraging major developers to get involved with the build to rent concept many more large scale projects could be built across the UK with cheap government funding as well as government backed debt guarantees. Of course it is a major task building 10,000 new homes but it gives you an idea of the task ahead if our country needs to build in excess 0f 250,000 new homes every year. The government is hoping by laying the foundations of these large scale build to rent schemes it can demonstrate the viability of the market it wants to see flourish. Current schemes under consideration are in London, Liverpool, Durham and Birmingham. Not only will the homes be a welcome boost to our housing stock but the construction of these new homes will also provide employment for workers in these areas. Work has already started on 2 sites in Southampton and Manchester and 36 other sites are under consideration. Around 80% of the new homes under consideration will be in London as this reflects the demand from workers and families. The new homes will improve the living standards of tenants in London and it is hoped that rental prices may come down in the long term. The current demand for accommodation in London has reached an all time high and prices appear to be rising at an unsustainable level. Our population is soaring and house prices and rental prices are matching this trend.